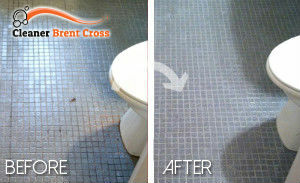 Do you get fed up with having to clean your bathroom, or may be you have several bathrooms that need to be cleaned? At our company we understand how important it is to have a clean and maintained bathroom because it also means that it is healthy and germ-free. But if you do not want to clean it any more or do not have the time to clean it thoroughly, please give us a call and we will help you. We are the best cleaning services provider in NW4 and we promise you we have what it takes to prove it to you. Our company is offering you not only the most skilled cleaners in town, but we are offering you the most convenient and practical prices for our first-rate cleaning service. Our cleaners will do whatever needs to be done in your bathroom. They will follow your requests, if you have any. Our cleaners will come equipped with cleaning equipment and products and will get to work. They will remove cobwebs and dust thoroughly. They will scrub floor and wall tiles, de-lime and de-scale the bathtub. They will get rid of mould, if there is any. Our fantastic cleaners will clean the windows and mirrors, wipe down cabinets and counters. Clean and sanitise sink and toilets. And before they leave they will polish chrome surfaces and take out the trash. 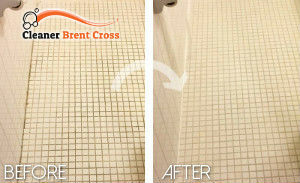 If you choose us, you will choose the most attentive bathroom cleaning service available in Brent Cross, NW4.